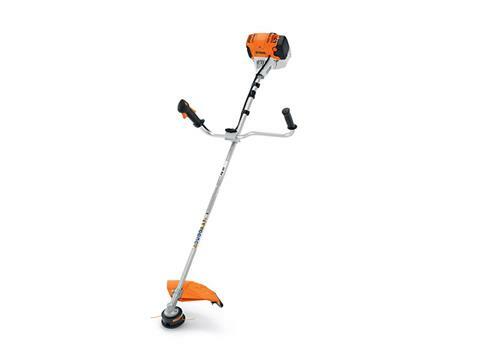 Landscaping professionals that demand power in their mowing applications will love the STIHL FS 111 trimmer. With its low-emission, 31.4 cc engine, grass and tall, thick weeds don’t stand a chance. And because it features a larger fuel tank, the FS 111 delivers 30% longer run times when compared to the FS 110. Its bike-handle design also includes rubberized grips for enhanced comfort and leverage. 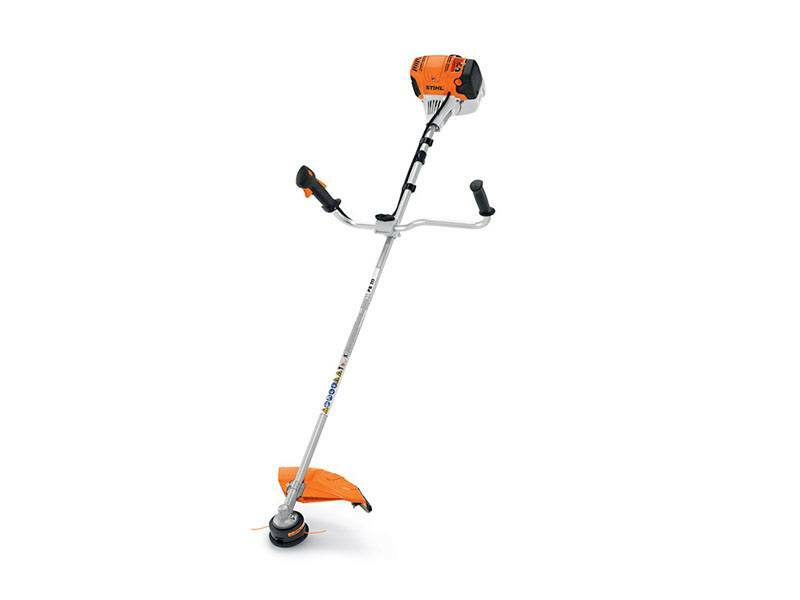 The trimmer features one touch stop and a simplified starting procedure enabled by the semi-automatic choke lever. Add to that an improved air filtration and STIHL exclusive IntelliCarb™ technology for maximum RPM when air filter begins to clog. Need to cut down heavy brush or saplings? The solid steel drive shaft accepts a wide range of heavy-duty cutting heads, including metal blades.